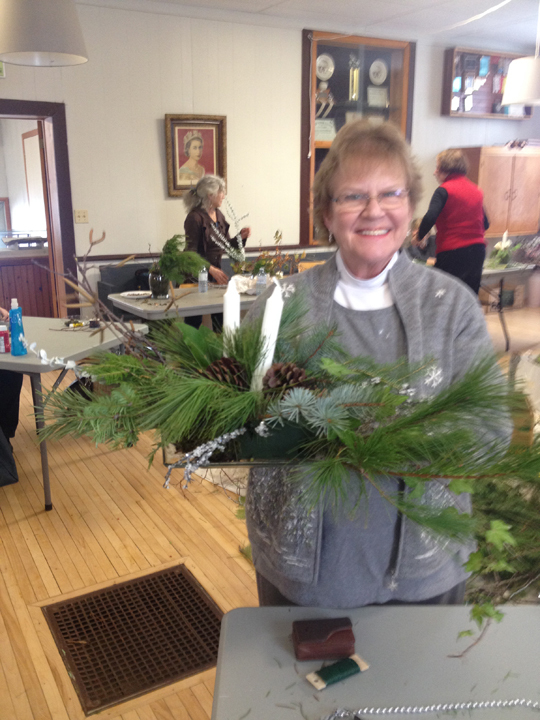 « Christmas Pot Luck this Friday! 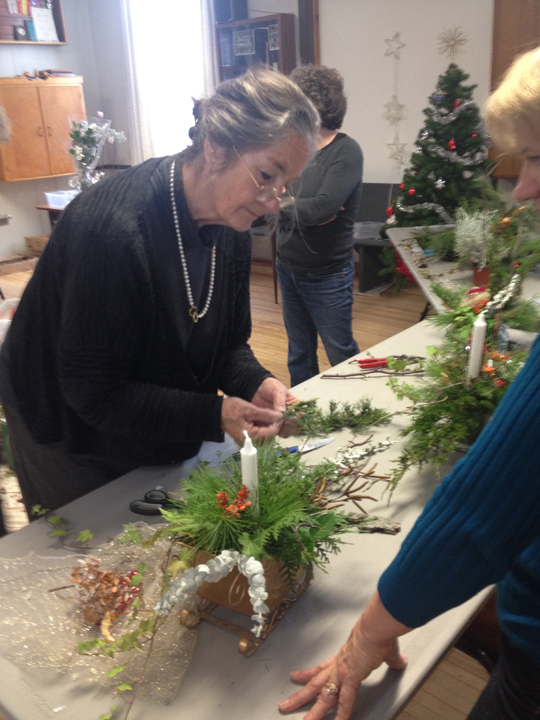 Last Sunday afternoon the Athol Recreation Centre was filled with the sights, smells and textures of the holiday season during local Cherry Valley resident Jutta Naim’s, Sticks and Stones workshop. 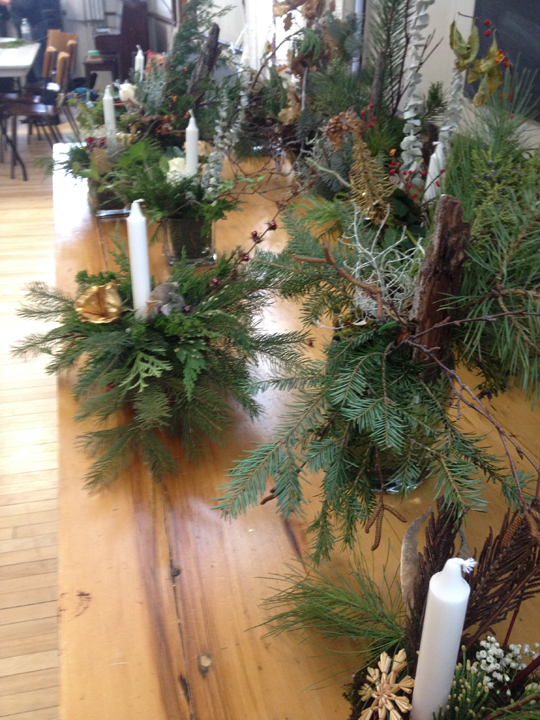 Beautiful arrangements for the holiday table were created under the inspirational guidance of Jutta. The workshop was followed by a wonderful potluck luncheon. Special thank you to Jutta and her group of volunteers for making the afternoon so special. All in attendance hope she will be back in the Spring to inspire us once again. Jutta guiding the class with their arrangements. Bonnie and her lovely arrangement.